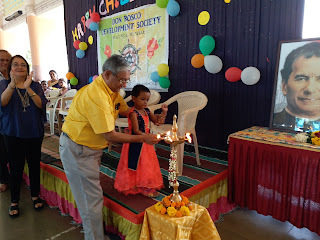 Mumbai (Matunga), 17-Nov-2018: The Don Bosco Development Society (DBDS) celebrated Children’s Day with 450 poor children from the slums of Mumbai. All the children were sons and daughters of the women from the self-help groups – who are beneficiaries of DBDS Slum Project. 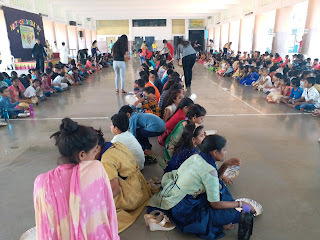 The day was stuffed with games and fun, attractive prizes, sumptuous meals and dances; so that the children could relish every single moment of the day. 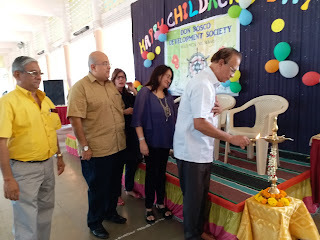 Fr Rolvin D’Mello (Executive Director – DBDS) welcomed the gathering and the dignitaries present for the occasion: Dr Suhani Mendonca, Mr Jayesh Chandan, Mr Kailash Parekh and Fr Glen Lowe (Rector of Don Bosco Provincial House). 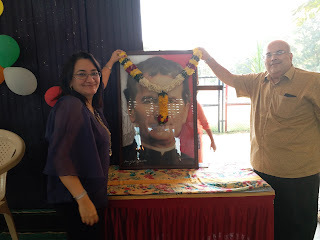 Fr Rolvin in his speech specially thanked Dr Suhani for sponsoring the breakfast and the Past-pupils unit of Matunga for sponsoring the lunch for the children. One could witness the hustle and bustle in the air; which was intensified with creative games, songs and dance. “Today we are celebrating Children’s Day and we are committed to give these children the best – so that they have wonderful day,” said Mrs Surekha Pednekar (Project Officer - DBDS). 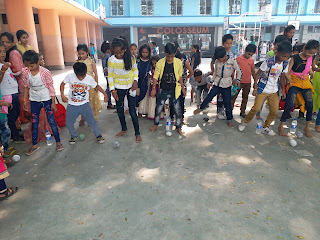 After the sumptuous lunch and desserts the children put a cultural event with variety of rocking dances and performances. The celebrations ended with a gift for every single child. “We really had time of our life today; it was so much fun to be here – we are grateful to DBDS,” said Master Vikas Mishra (Std. 7th – participant of the event). Children went back home with lots of memories which they will cherish throughout their life and of-course with attractive prizes.